The prospect of losing the volume in our faces does not sound like an enjoyable experience. The fact of the matter is that, with age, such an occurrence is bound to happen. This is likely why we tend to spend so much money on creams, lotions, moisturizers and soaps. And while these are all encouraging methods of skin care, the fountain of youth has still yet to be discovered. Or has it? Juvederm injectable fillers have helped numerous individuals smoothen out their wrinkles to attain natural, youthful looks that truly hide their ages. It is widely becoming known as the safest and most effective way to restore facial volume as well. It is not surgery. It is not invasive. And it requires no downtime. So how, exactly, does it work then? 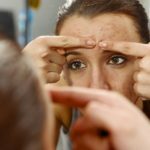 An excellent YouTube video reveals some information that helps to explain how our skin works, and how Juvederm helps it to stay young. First, it’s important to understand the very process of aging itself. The video’s narrator reveals that as our skin ages, it begins to eventually lose hyaluronic acid and collagen. Both are naturally produced by the human body. But as we lose these naturally-occurring components of our youth, our skin develops fine line and wrinkles while also losing fullness, volume and elasticity. So how does Juvederm help? Juvederm’s job, first and foremost, is to replenish the skin. The gel used in the injections, as explained in the video, helps to attract and maintain water beneath the skin’s surface. This results in skin that is better hydrated, and therefore able to increase its volume. 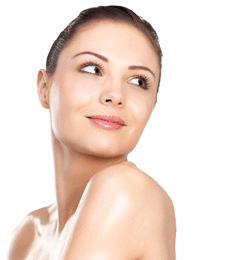 Perhaps, the greatest benefit of Juvederm injections is that actually they help the body to help itself. In other words, with a greater amount of hydration in the skin – something it always needs – its appearance takes on a very authentic youthful appearance. Unlike plastic surgery – which is perhaps aptly named because of the plastic-like look it often creates – the results of a Juvederm treatment are a lot more natural looking. And where can this natural look be achieved? Well, let’s look at that smile of yours (since Juvederm will help you to smile a lot). As the YouTube video points out, smile lines and other lines around the mouth are diminished, while lip volume increases. Juvederm also restores volume to your cheeks and jaw line. But there’s another important reason why Juvederm injections are so beneficial to patients looking to restore the looks of their youth. It is long lasting. 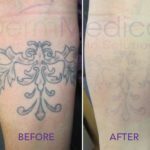 The video’s narrator notes that Juvederm is the only hyaluronic acid dermal filler that is clinically proven to have results that last up to an entire year. Now even though an injection is nothing like a surgery, some people are still afraid of the needle. And while this is normal, procedures are known to cause very little discomfort or pain. Your best, as always, is to consult with a doctor before finding out if the procedue is right for you. For more information on Juvederm, contact DermMedica toll free at 1-866-861-3070, or if you are in Kelowna, call 250-868-3070. You can also book your no-pressure consultation online here.